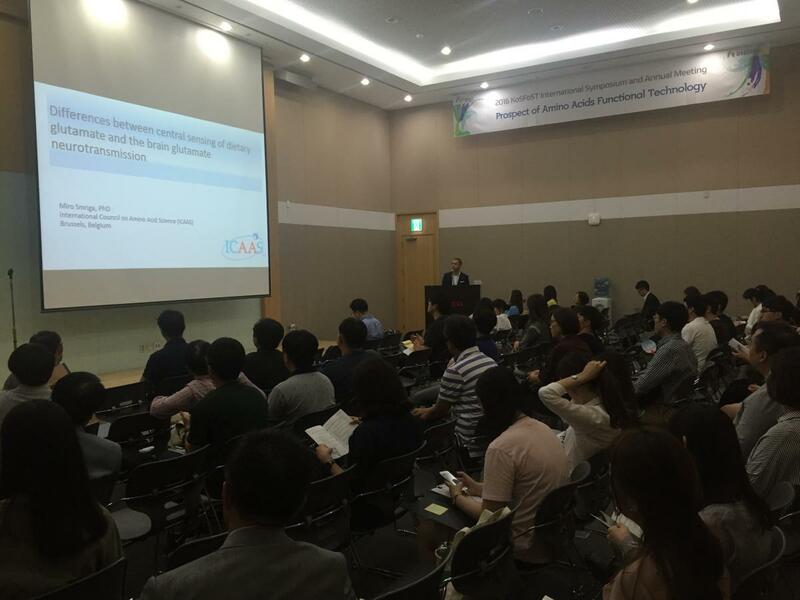 ICAAS participated in the Korean Amino Acid Industry Academic Symposium session at the 2016 KoSFoST (Korean Society of Food Science and Technology) International Symposium and Annual Meeting in Daegu, Republic of Korea from 17 to 19 August. The theme of this International Symposium was “Food Science for Daily Living via Innovation and Convergence”. Miro Smriga, ICAAS CEO, spoke about the differences between central sensing of dietary glutamate and the brain glutamate neurotransmission. Other speakers focused more on amino acid used in enteral and parenteral nutrition and also on the applications of arginine, lysine and glutamate to formulate flavors.